Like a phoenix, biosimilars rose from pharma’s ashes to revitalize an industry faced with the loss of patent exclusivity for several biologics. Now this global market is expected to reach $2 billion by 2018 . While there are currently only four agents approved in the United States, more than 20 are approved in Europe . Development is accelerating, and according to some estimates, there are 56 biosimilar products in the pipeline, with 30 companies having active programs . 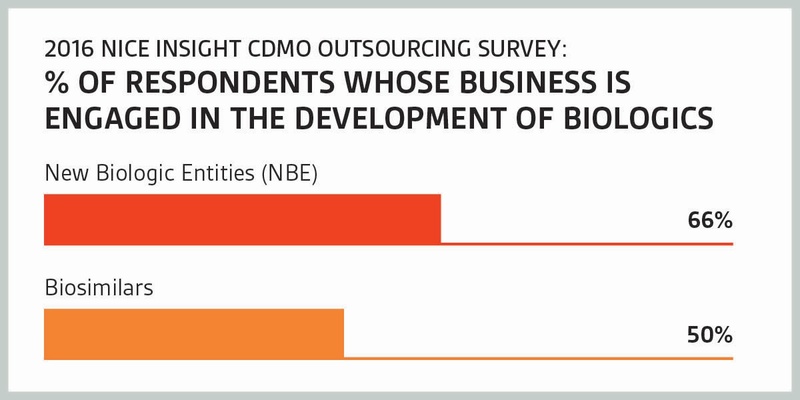 In fact, according to the 2016 Nice Insight CMDO Outsourcing Survey, 50 percent of respondents are currently engaged in developing biosimilars . Biosimilars represent a significant opportunity for healthcare systems to deal with the rising cost of medications and access issues. Additionally, biosimilars are an attractive opportunity in the mid- and long-term from a commercial perspective. Approximately $110 billion worth of biologics are expected to be off patent by the year 2020, and almost one-third of the pharmaceutical industry pipeline is comprised of biologics. If you combine this with two other important trends - increasing pressure to control healthcare costs and increasing regulatory clarity for biosimilars - the opportunity is very clear. Developing and marketing biosimilars provides a compelling and valuable business proposition for the future. Loss of patent exclusivity allows greater access by patients, increased competition and overall healthcare cost reduction. Biosimilars could help the healthcare system by reducing costs and providing safe and effective alternatives to brand biologic medicines. “Patients and providers can be assured that an FDA-approved biosimilar will have the equivalent safety, potency and quality from its brand biologic counterpart,” says Gregory Oakes, Sandoz VP and head of biopharmaceuticals, North America. Oakes should know. Novartis’ Sandoz business released Zarxio, the first U.S. biosimilar in September 2015. Zarxio is a copycat version of the blockbuster neutropenia drug Neupogen (filgrastim), held by Amgen . Sandoz plans to launch five biosimilars of major oncology and immunology biologics across key geographies by 2020, says Oakes. “Sandoz has a leading biosimilar pipeline and we are pleased with Zarxio’s performance in the U.S. to date,” he says. 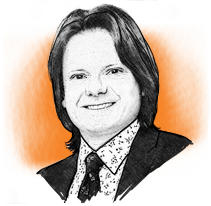 “Our market share is in line with expectations and has exceeded benchmarks.” Oakes adds that in Europe, Zarxio (the European brand name) has more than 30 percent market share. It is the first biosimilar to surpass its reference product (Amgen’s Neupogen) and the market leader Chugai’s Granocyte. Biosimilars require heavy investment and long-term commitment by companies to bring them to market, including the costs of development, regulatory, reimbursement and intellectual property litigation challenges. In addition, the regulatory pathway to approval in the United States is relatively new, with the passage of the Biologics Price Competition and Innovation Act (BPCI Act), which was included in the approval of the 2010 Affordable Care Act. It is widely believed that the regulatory drag of biologics is a factor contributing to their slow arrival to the market . And while FDA would not publicly comment on biosimilars regulations for this article, all approved biosimilar products in the United States must meet FDA’s rigorous standards demonstrating “there are no clinically meaningful differences from the reference product in terms of safety and effectiveness” . Therefore, a patient can expect the same level of quality, safety and efficacy from a biosimilar as the reference product. Europe currently dominates the biosimilars market, which is not surprising since it has had a regulatory approval pathway in place since 2006 and nearly 20 products are currently available in the EU. Asia-Pacific is the second largest regional market, followed by other emerging regions including South America, and biosimilar products have been registered in Australia, Canada, India, Japan and South Korea. Many biosimilar developers have targeted Asia and other emerging markets because the approval process tends to be simpler. Many industry players argue, however, that these products are not true biosimilars because approvals were granted without any requirement to demonstrate comparability to the originator drug, which is a key aspect of the regulatory approval pathways in the EU and United States. It should be noted, though, that many countries are in the process of developing specific biosimilar approval pathways or have issues guidelines, including Australia, Malaysia, Brazil, Mexico, Venezuela, Columbia, India, Russia and China. Biosimilars require considerable development and manufacturing costs. They are expected to gain moderate U.S. market share and are likely to achieve diminished profit margins relative to a typical biologic. Having the right regulatory framework and policy is essential for sustained growth of biosimilars. Cao adds that Sandoz is committed to influencing policy-making to ensure patients have access to these medicines in the long-term. “Collaborating with health authorities and sharing new science from development programs is important,” she says. The estimated cost savings of biosimilars for health systems in the United States and Europe could reach $110 billion through 2020 . Such cost savings are generated through competition-driven discounts offered by originators, says Oakes. In 2013, biologics comprised 28 percent (amounting to approximately $92 billion) of U.S. drug spending, or an increase of nearly 10 percent since 2012. The RAND Corporation forecasts biosimilars will create a $44.2 billion reduction in direct spending on biologic drugs from 2014 to 2024. This accounts for roughly 4 percent of total biologic spending over the same period, or about $13 billion to $66 billion . And, the Generic Pharmaceutical Association estimates biosimilars savings projections to range from $44 to $250 billion over 10 years . Thus, the rising demand and increased awareness about biosimilars are driving the market. Biosimilars are now considered a promising option for treating chronic diseases, such as cancer and cardiovascular. 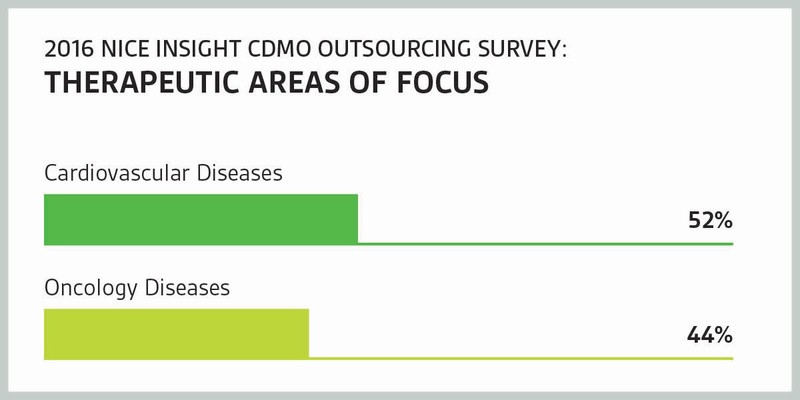 A 2016 CRO Outsourcing report from Nice Insight shows that 52 percent of respondents consider cardiovascular disease a primary therapeutic area of focus, and 44 percent indicating that oncology is their target focus . As a result, top market players are investing in biosimilars to create future market opportunities.